Iran's Minister of Oil, Bijan Zanganeh has announced that the oil fields in the country are surrounded by water, but the safety of people comes first. "All our efforts are towards the service to people. No one wants to produce a few more barrels of oil at the expense of the lives of people," he said. Meanwhile, a source in the National Iranian oil company previously told the official news agency IRNA that production has come to a halt at some oil fields in the flood-affected Khuzestan province. 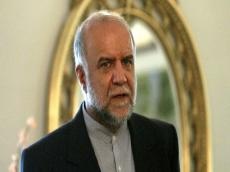 But Zanganeh said on Friday that oil production continues as usual and Iran will meet all its commitments to the market. The minister did admit that some oil pipelines have been emptied to prevent spillage. “We have reduced the production of oil to prevent environmental damage to the people and drained some of the pipelines,” Zanganeh said during his visit to Khuzestan province on Friday. He stated that Iran has deployed a special representative for this purpose to mobilize more facilities in flood effected provinces. The oil minister went on to explain the latest status of oil refineries and wells in the province. He said that oil transfers from southern oilfields to refineries are underway and gas is in transit, but we stopped the flow of about 50 evacuated villages due to the safety and protection of the people's homes.